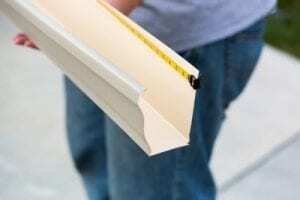 If you’re in need of gutter replacement services for your home in Louisville, Kentucky, don’t hesitate to call 31-W Insulation. Since 1972, we have been providing home improvement services to homeowners throughout the Southeast, including gutter installation. Broken, sagging, or leaking gutters can lead to costly water damage to the structure, foundation, and landscape around your home. Our gutter replacement services can help prevent all of these problems while enhancing the aesthetics of your home’s exterior. Additionally, our replacement gutter systems are installed by our own factory-trained employees – never subcontractors – to ensure our high standards of workmanship are upheld in every project we complete. You can count on our experienced team to install your new gutters properly and securely so that they’ll look great and function flawlessly for years to come. Contact 31-W Insulation today for more information on our gutter replacement services. We proudly serve homeowners in and around Louisville, KY.